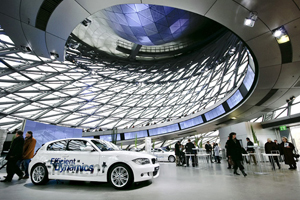 BMW UK has renewed its contract with Zinc Management, which will manage its customer and dealer events in Munich as part of a three-year deal. Zinc will provide bespoke packages including hotels, flights, restaurant bookings, and tours of the BMW Welt experience centre. BMW UK general manager of events Paul Andrews said: "Zinc will help us ensure that as many dealers, customers and enthusiasts get to experience the home of BMW for themselves." Zinc has worked with BMW for nine years and event director Heike Kettner said: "It is an excellent ongoing project and due to our expertise we can provide an outstanding service for each and every trip we manage."